Europe is teetering on the verge of becoming the wave pool center of the world. Why? The cradle of western culture has more pools planned than any other zone in the world. Perhaps it’s due to a culture that embraced surfing later than the US and Australia and is, therefore, more open to new definitions of surfing. Or, it could be as simple as being in close proximity to the Wavegarden facility in Northern Spain. The crew at The Wave Bristol announced plans for a London facility this week. Adding to the 18 locations that dot the “projects under development” map for Wavegarden. In all Wavegarden has Cove facilities planned for Switzerland, Paris, Lacanau, Madrid, Barcelona, Malaga and Edinburgh. We’ve also found two planned Surf Lakes deals, one for London and one for Spain. 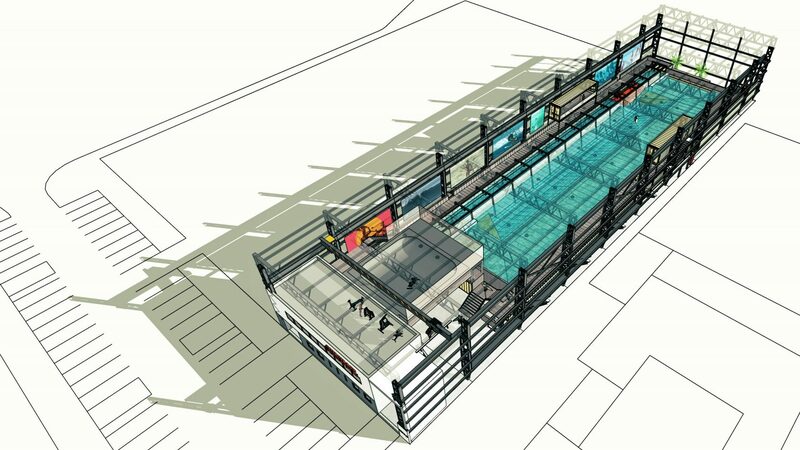 And slightly off the radar is new Dutch tech from 247 Waves who plan an indoor pool facility in The Hague. This designs tiny footprint and modular construction make it (relatively) easy to install, in which case we’d see an algae bloom of 24/7 facilities across Europe. Keep in mind that in the high-stakes world of wave pool investment, developers often shut off the information tap to control speculation. Likewise, when new wave pool dreams dissolve and projects are abandoned, involved parties rarely issue a press release. But remember, there are more wave pools out there in the ether right now too. Emails are bouncing back and forth between anonymous investors and wave pool makers, and local planning commissions are studying environmental impact reports for new projects. In short, there are more pools coming. And one could be very close to you. It all started with a dream and some crowdfunding and now it’s a reality. The new indoor SurfPoel facility in The Hague will pump out 149 waves per hour. The design follows a “hull” wave generating design similar to Wavegarden’s Lagoon tech and the Kelly Slater Surf Ranch. The hull design, dreamed of and implemented by Australian Steven Schmied during 10 intense, long years, can be adjusted to produce waves for varying skill levels. Surf heights will hit the 2-to-4-foot range in the new machine. The project, just a stone’s throw from the Dutch surfing capital of Scheveningen should open in 2019. This is one of the only wave pools that is made in modular components, therefore it requires no digging and is fully transportable. We hope this means we’ll see more of these indoor gems in the future. Blessed with the phenomenal breaks surrounding Thurso, Tartan Leisure Limited one-upped the country’s natural endowments and purchased Wavegarden Cove rights for all of Scotland. The group plan to develop, construct and manage the new project in Edinburgh. The full-sized Cove (48,500m2) will open near Ratho by summer 2020. Making it a center of Scottish sporting, the national surf team plans to train there and the whole deal will be built adjacent to the Edinburgh International Climbing Arena. “It is also an installation designed for the practice of surfing for people with disabilities,” the company added. Developers are boasting a near capacity of 100 surfers per hour. 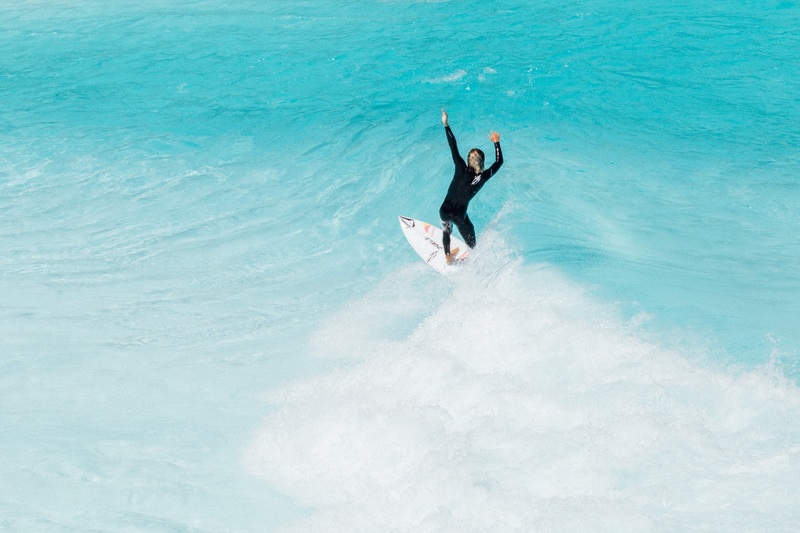 With the return of their UK Pro Surf Tour event as well as the launch of their extremely popular Jordy Smith visit to Surf Snowdonia, the world’s first public wave pool is poised to expand. The expansion is a hotel and more attractions to bolster its “adventure park” status. We’ve followed The Wave Bristol for nearly four years now. At one time it was in a race with Surf Snowdonia to be first to market. At some point, Bristol applied the brakes. But now the diggers are digging and concrete is on its way. “We are currently full steam ahead building The Wave Bristol and can’t wait to open our doors there next autumn,” the company said in an email. London is gearing up to become a major surf destination. And an Austin Powers plunger could become a reality. 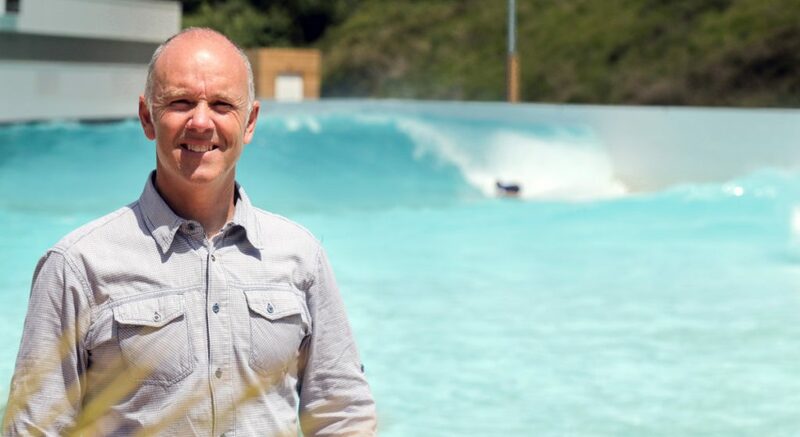 Surf Lakes, after their earth-shattering debut of 5 Waves technology in Queensland, announced they had “at least six parties positioning to begin construction in 2019 with a view to opening commercial surf parks using 5 Waves technology in 2020.” Included in the announcement is London. Where? Funded by whom? All mysteries. 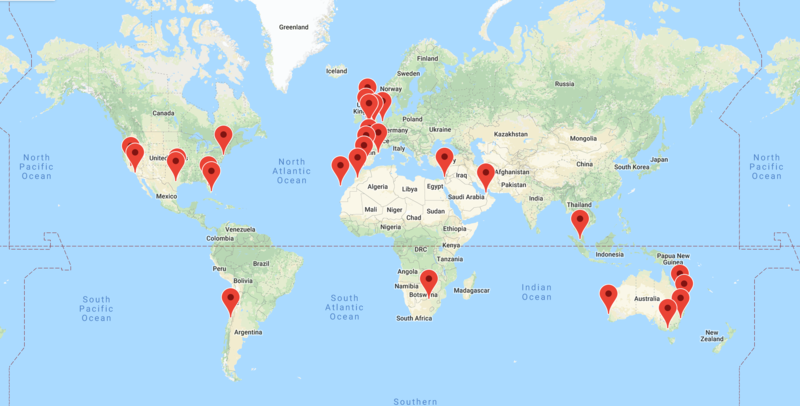 But seeing as Surf Lakes shares are a hot-ticket item and CEO and founder Aaron Trevis is touring the globe like an investment rock star, we’re confident official news is coming shortly. Meanwhile, The Wave Bristol will double down with plans to open a second wave pool project. Along with Bristol, London will use the current Wavegarden Cove technology. 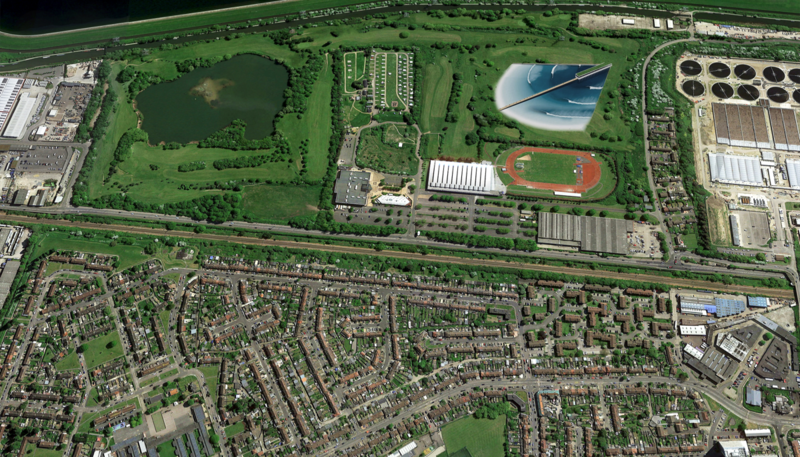 The £40m project would occupy around 100 acres of land in the Lee Valley Regional Park. Spain is home to the Wavegarden test facility in the Basque Country. Along with the OG pool, there are three additional projects in the works. While we await official confirmation from Wavegarden, Costa del Sol, Barcelona and Madrid are in planning. Although we found in two separate articles that the Barcelona project had already been slated for a 2018 opening, we must remember that these things take time. Bristol was on and off for a bit before rolling ahead full steam. 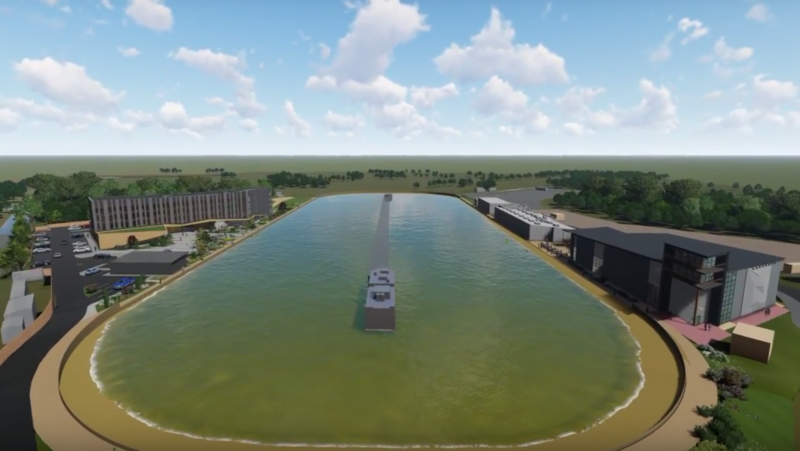 To diversify the offering of artificial wave tech, Surf Lakes announced that the land of tapas and flamenco had made their Top Six List of projects ready to break ground in 2019 with a 5 Waves facility. Another case of disappearing wave pool projects. One year ago the interweb listed two proposed wave pool projects for Paris and one for Bordeaux. The Waves In City project along with a Paris redevelopment site eyeing the Olympics and the planned Bordeaux Wavegarden lagoon deal have mostly vanished from the search engines. 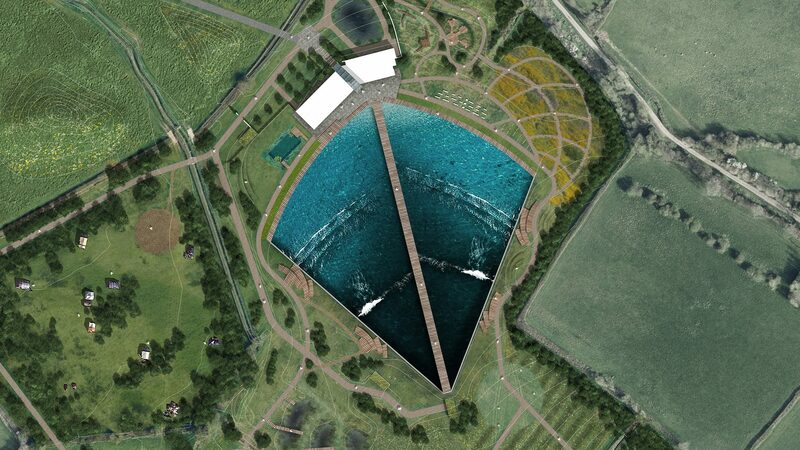 But just today we got confirmation from Wavegarden that Paris and Lacanau have plans. The Bordeaux plan is mystery, but the Paris pool is marked for Sevran. Little else is known. Such is the fog of Europe’s planned wave pools (and the world for that matter). Stay tuned for official confirmation from Wavegarden on the above and on rumored projects in Morocco and Israel. If we have missed any planned projects please reach out to us, editor at Wavepoolmag.com. We’d love to hear from you.